I have a few of these and would like to get copies of woverines head, anyone game to make casts and molds? I have the punisher, black spidey and captain america as well but the bezerker wolvirine is the best by far. I'm willing to make a gew casts but I don't have the SHS wolverine... Can you provide it? Also, I just caught wind of a series of Pirates of the Carribean 2 figures that are supposed to be on the 4" scale. Looked through some photos at amazon and there are some pieces that might be decent fodder. I found these sets the other day too. I recommend e-mailing the seller if you are going to order from him. I ordered 5 pieces for $45 shipped ($7 a piece plus $10 shipping). I'm a little suspicious about the fact that these are supposed to be blind-packed but he lets us pick which on we want, but I'll let everybody know how it went after I receive them. The seller was very quick in his responses to my e-mails, so that was reassuring. Just to let you guys know, I also ordered a set from this ebayer and it arrived today. He's good for it. He provides you with the fig you want. It comes boxed but the box has been opened to check what figure is in it. While toy hunting today, I was looking at the Pirates of the Caribbean figures and noticed that the Will Turner (Orlando Bloom) figure's head would make a pretty decent young Qui-Gon if anyone were so inclined to make one. To keep the Aliens Vs. Predator Snap-Kit theme of fodder running too, there's some majorly great news I'd talked about in the Other Toys section here for the past month or so. The Hot Toyz line is expanding with a 3rd series now of "Aliens" Snap Kit figures. The Aliens are resculpted and there's 6 new versions. Alien A, B, C, and then each has a subsequent "battle damaged" variation of itself, so really there's 6 unique Aliens coming. These Aliens don't have the canine-shaped legs on them, but rather they have the more human looking legs classic from the "Aliens" film. The real news though... Marines and Ripley. Drake, Apone, Hicks, and Ripley to be exact. Where the other really main players are, I do not know, but this series seems to be doing well for HT. 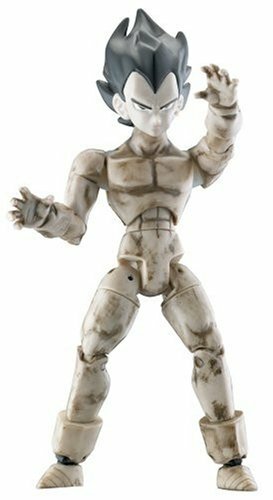 The line also appears to be revamping articulation at least on the humans to be hopefully a bit more sturdy and versatile. Judging by photos anyway, the humans have what appears to basically be a ball/socket elbow joint on a pin-swivel. It looks more strong and stabile to me. These should be really great fodder, and really they should just be great collectibles too, as the S1 Aliens Vs. Predator figures are top-notch. and thought with a nice coat of silver paint it could pass for a Naboo Starship. The scale is wrong but the smooth lines looked right. If it ever goes on clearance I might pick it up. 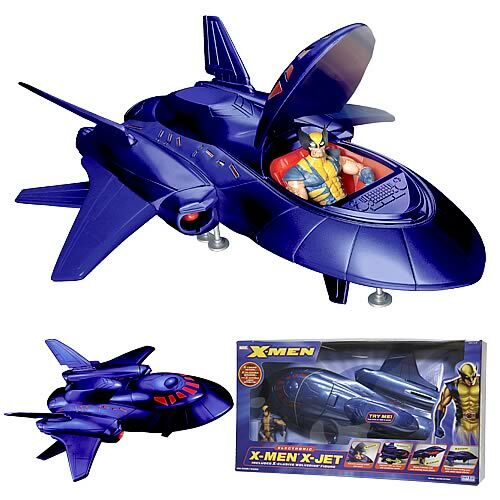 It was only $20 so I might buy it anyway wven thought I don't collect X-men. I stopped over at my local TRU and there ae a whole slew of new BBi figs. There is one with a beard and hat that would make an excellent Booster Terrik. I think there are about 5 in the line. I cant grab any pics right now but I just thought Id throw this out. It's blurry because i don't feel like digging for better right now, but the new figures are the 4 modern ones. The two WW2 figures are from a wave ago but resurfacing alongside these moderns... For most into this line they're still sparsley shipping as they're brand new. -US Special Forces: Afghanistan (the bearded guy w/ballcap)... The figure lacks wrist joints and a removable hat, oh and no working holster. Beyond that he's not too shabby. -US Sniper... He's the guy in the shrug (Guille Suit(sp?))... Nicely articulated, interesting accessories for possible customs. I've got him and only the back and helmet come off, not the arms/legs portions of the camo-ing. -US Navy SEAL... Best figure of the wave... Again though, no working holster. Lots of other useful stuff for a diver figure though and whatnot. -US Night STalker... Chopper pilot, has laptop and whatnot, but again lacks wrist articulation for no real reason, no working holster. Good figure though for the most part. The WW2 figures both feature full articulation and removable headgear. They also each come with a "heavy weapon" of some sort. One with a Bazooka and I think the other had a Bazooka as well but now I forget and it's all clumped together so he maybe had a mortar. All new headsculpts on all of them too btw. A little "older" but not bad. The WW2 guys should've had really young sculpts IMO though. Anyway, these are just showing up now so your luck finding them will vary. Only one TRU in my area got one case in as far as I have been able to find... Good luck. Darth_Ennis - I picked up some of those BBi figures about a month or so ago. I really like the WW2 figures, they are much better than the 21st Century Toys figures from walmart. I did not like the bearded/bare arms guy. His arms are molded in green and the paint on mine chipped horribly. Pretty lame. Also, as Jesse mentioned, the hat is molded on. I picked up a Dragonball Z action figure at Toys R Us today. I was Hunting for the Hunt for Grievous and came up dry. With the right head, there are some good possibilities. It seems to be articulated very similar to the Micromen. 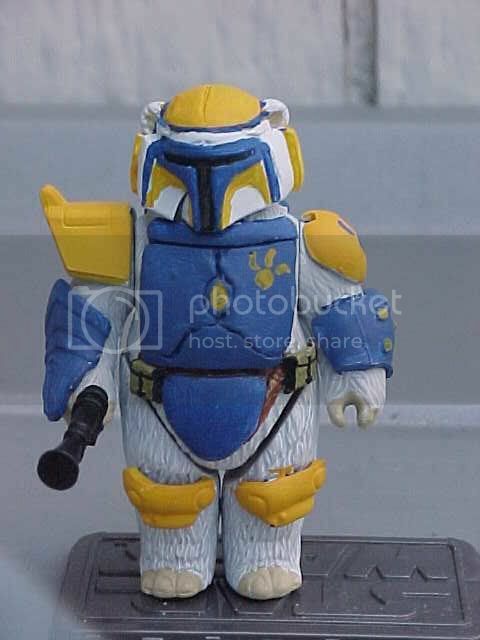 I can't beleive no one has posted Goodtogocustoms.com. This site is great, they have 3 seperate stores for different things and the SW stuff is coming very soon, This includes SW compatible parts and helmets, gear bandoliers, etc. Great place, and with individual parts at like a buck a piece its great. I am gonna blow like 50 bucks on parts as soon as the SW store opens. Good to go is a nice site, If a little Joe centric. The only problem is everything that I wanted is out of stock. Perhaps when the SW stuff comes it will be different. Im not taking anything away from them at all its a great customiser website once they get a little more stock in I wont need to go anywhere else.